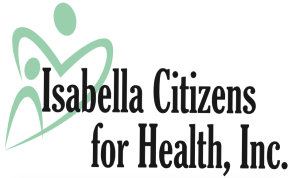 Providers - Isabella Citizens for Health, Inc.
Michael McConnon, MD is a board certified physician with experience in Family Medicine and has worked as a physician in the US Navy. Dr. McConnon attended medical school at Michigan State University's College of Human Medicine. Sean Kesterson, MD FACP is an Internal Medicine specialist and has been in practice since 1989. He graduated from The Ohio State University College of Medicine, and did his residency training at the University of Michigan, where he was also a faculty member. Since 2010, Dr. Kesterson has been in the Central Michigan area practicing and developing medical education programs and clinical practices. Scott Vogel, DO is a board certified physician with over 20 years of experience in family medicine. Dr. Vogel has a Doctorate of Osteopathy from the University of Des Moines. experience. Jodi received her Bachelor of Science in Nursing from Grand Valley State University, where she then went on to complete her Doctorate of Nursing Practice. Lacey Gardner, PA-C is a Mount Pleasant Native with experience in family medicine, urgent care and emergency medicine. 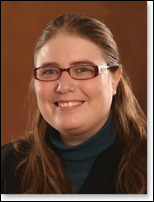 She also serves our community working in the emergency department at McLaren-Central Michigan. Lacey is a graduate of Central Michigan University's Physician Assistant Program. Marisa Gariglio, FNP-C is a certified Family Nurse Practitioner with 10 years of nursing experience in the central Michigan area. Marisa earned her Bachelor of Science in Nursing from Ferris State University, and went on to earn her Master’s Degree and complete her Nurse Practitioner program at Oakland University. David Johns, PA-C has extensive background in urgent care and emergency medicine, having worked in the ReadyCare for more than 10 years. David is a graduate of Central Michigan University's Physician Assistant Program. Chika Hammack, MD completed her residency in Brooklyn, NY and graduated from the Medical School for International Health, Ben Gurion University in Israel. ​Dr. Hammack is passionate about international health and serving and volunteering in her community. She grew up in three countries in Africa and volunteered in several countries over the course of her training. Karen Rathmann, MD is a board certified pediatrician and also the pediatrician at the Autism Evaluation Center at Central Michigan University. Dr. Rathmann is a graduate of the Medical College of Wisconsin. She completed her residency at the Children’s Hospital of Michigan in Detroit, and began practicing in Mount Pleasant in 2013. Behavioral Health Services available for both Family Practice and Pediatric patients. ​Christina Pontious, LLPC, CADC earned her Master of Arts in Professional Counseling from Central Michigan University, and has many years of experience working with individuals and groups in the behavioral health field. She is also a Certified Alcohol and Drug Counselor (CADC) through the State of Michigan. Vicki VanConant, LMSW is a Licensed Master Social Worker with 17 years of experience providing outpatient therapy in the central Michigan area. Vicki earned her Bachelor of Science at Central Michigan University, and went on to complete her Master of Social Work at Grand Valley State University.